This morning seems to be full of posts about Brunei vs Indonesia… not the football match itself (yet), but about the queuing. At first glance I was a bit embarrassed and disappointed looking at my Bruneian fellows in a chaotic state, as if they weren’t considerate nor courteous. Unlike our Indonesian counterparts as shown below in a pic from one of the posts. I guess, the indonesians respect (or fear) the authorities in this country that is not theirs, that they queued willingly which seems without any help from the authorities. But looking further, I imagined myself to be in the Bruneian “queue”, I find myself confused and a bit worried. I arrive there seeing the chaotic state, not knowing the head or tails of the queue. Considerate or not (which I believe I am), I would be in that crowd. I guess our culture or entitlement is at play here. But also that the authorities were not prepared to handle this amount of crowd, and therefore were left short-handed to handle such and event. When it comes to System vs People, it is the system that guides and controls the people. How else would you explain places like MacD being able to train a (often rebellious) teenager to make the same burgers and fries consistently. I also see post of complaints on how the tickets are finished or not enough, and some are blaming corruption (people inside reserving for other people). I am not really a football fan, but for this event I personally think that the tickets should have been charged, even if one dollar. But preferably a range price (from $5 to $50) for a numbered seat. It would reduce freeloaders, reduce the jam, get in the true fans, and make this event sustainable and even profitable. The stadium can fit 30,000 people. even if they charged $1 there is $30,000 in revenue, how much does it cost to print the tickets? or hire guards? Oh how that money could be used to renovate the stadium or other costs? This is the final match, between two countries that relatively populate brunei. I bet real fans or even just patriotic nationals wouldn’t mind to pay. I don’t remember clearly, but I think during the Brunei vs Serawak in 1999, the tickets cost quite a sum, I remember family mentioned that they paid $100 for the whole family to get in the stadium. 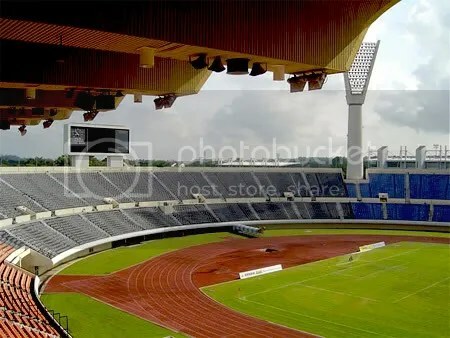 The stadium was packed, Brunei won. It is an experience that most people yearn for, to be there, to be a part of something that matters. I am not a stadium manager, but I am in Business, it is not just about making money, it is about providing value and being sustainable to continuously be able to provide that value. I see that this match provides entertainment, and to the side that wins, gets pride and glory.